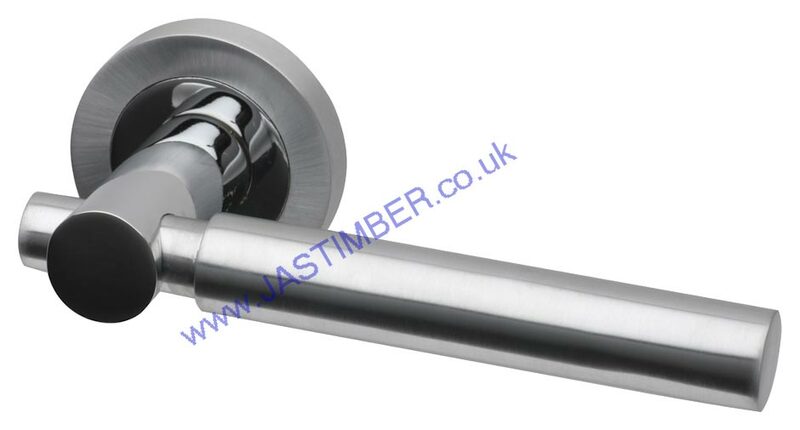 Intelligent Dual Finish Door Handles available from JAS Timber! 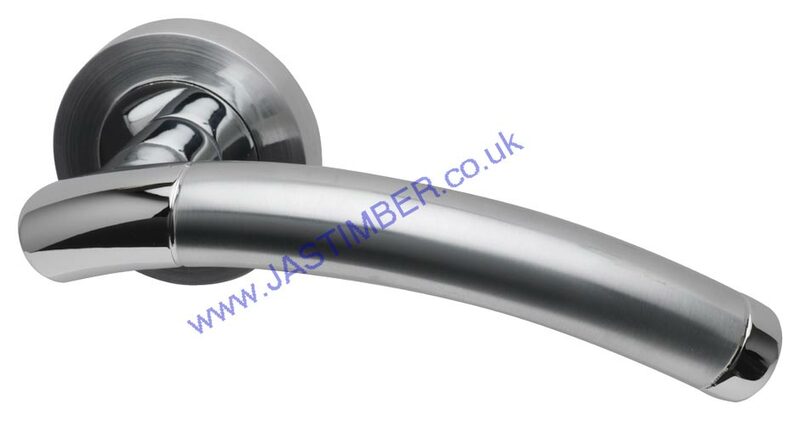 Intelligent Dual Finish Door Handles are available to buy online now from JAS Timber! Intelligent Hardware produce a range of modern and traditional door handles in various colour finishes. All the products in this range are not only of the highest quality, but are also available at a great price. 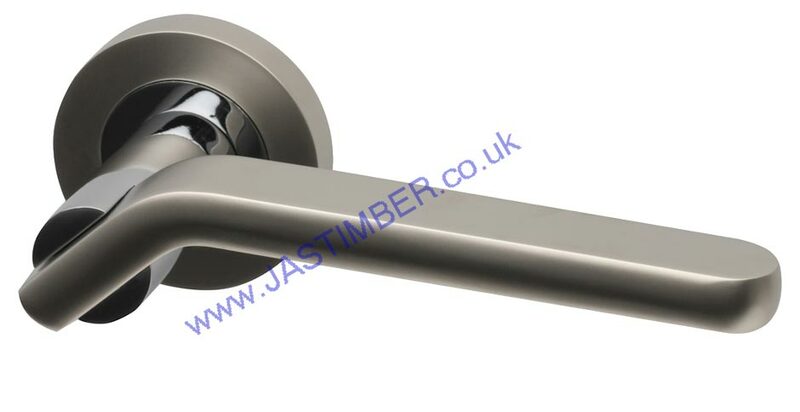 JAS Timber offers a wide range of Intelligent Dual Finish Door Handles available to buy online now, and at a very reasonable price. The range consists of 24 contemporary dual finish door handles, all available to buy online now! The Opal Door Handle is a dual finish handle that would would suit elegant, contemporary interrios. This door handle has a stunning and slender appearance. The Opal is available in; Black Nickel & Polished Chrome or Matt Nickel & Polished Chrome. The handle features a screw on rose with bolt through fixing and would me perfect for any modern home. The Cambridge Chrome Dual Finish Door Handle featuring a square rose is a stylish and elegent budget designer door handle, and fits perfectly into the hand with its sleek shape. The Cambridge Handle features a screw on rose with bolt through fixings, and is available in Polished Chrome & Satin Chrome. The Amethyst Dual Finish Door Handle is a dual finish handle would suit any contemporary interior. The handle is thin and slender in appearance. 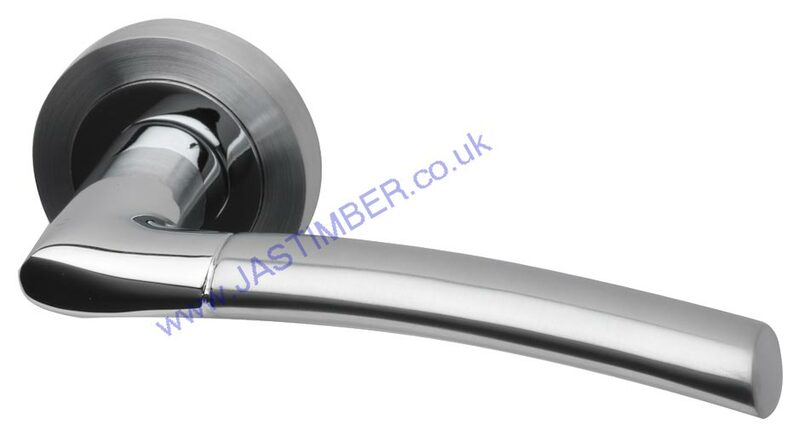 The Amethyst Lever Door Handle is available in a finish of Matt Nickel & Polished Chrome. It features a screw on rose with bolt through fixings and would eb perfect for any modern home. The Topaz Dual Finish Door Handle on round rose is a modern tubular lever handle, that has a dual finish of Polished Chrome & Matt Nickel. It is manufactured from a zinc alloy material, so will be hard wearing and long lasting. The Topaz handle features a screw on rose with bolt through fixings. Dual Finish Bathroom Thumbturn & Releases are also available in various finishes, as a Round Rose or Square Rose. View the full Intelligent Door Handle Range, and buy online now!